When you refer to your physical appearance, the overall condition of your skin is given the highest consideration. As much as possible, marks and discolorations should be at a minimum to really exhibit the amount of care that you give to yourself. Aeshetics and cosmetics step in when it comes to female appearance. Discoloration, no matter how minimal, is always an area of concern, especially to women. Hyperpigmentation are the usual culprits in skin discoloration. This is very noticeable especially when it occurs in the facial area. Concealers and foundations are often applied by women to certain areas of their face where hyperpigmentation is very evident. Two of the main causes of lip hyperpigmentation are scars and hormonal fluctuations. Injuries happen and darkened scars are left to remind you of that moment. On the other hand, hormonal fluctuations during pregnancy and menopausal conditions result to hyperpigmentation as well. This is one of the effective treatments for lip hyperpigmentation prescribed by dermatologists. 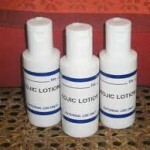 Hydroquinone is known to be a potent skin lightener. It significantly reduces the amount of melanin in your integumentary system. About 2% to 4% hydroquinone solution can be used. The higher the percentage, the faster the skin lightening process is going to be. Just make sure that you only apply to your lip area because if you apply anywhere else on your skin, that part will lighten as well. Another skin lightener for lip hyperpigmentation is kojic acid. This also blocks the production of the color-pigment, melanin. This can either be purchased over the counter or through a prescription by your dermatologist. Topical retinoids could be obtained from your dermatologist. You can apply this on your lips and this will readily minimize the pigmentations and facilitate fast cell regeneration. This is usually used with hydroquinone. When you apply this on the area of lip hyperpigmentation, the darkened skin peels off and a new, lighter skin layer is revealed. You should talk to your dermatologist about the use of retinoids because it may result to skin problems like dermatitis. Fractional laser treatment is one of the faster treatments for lip hyperpigmentation. Here, a fractional laser apparatus is used to penetrate, by tiny light pinpoints, the dermal and epidermal layers of your skin and literally burns away the excessive pigments. Other laser treatments only treat the topmost layer of the skin. Fractional lasers penetrate deeper and really help those with dermal melasma. Chemical peel treatment should be performed in the dermatological clinic. Your dermatologist has special peeling formulation that will make the peeling of the darkened layer of your skin a lot faster. A chemical peel’s depth of penetration depends on the type of chemical, the strength of the chemical, and length of time the chemical stays on your lips. This is done carefully so in using this method to treat your lip hyperpigmentation, expect several sessions of peeling until you finally achieve the degree of skin lightening that you desire. The longer it takes for the lip hyperpigmentation to be removed, the deeper the darkening is. 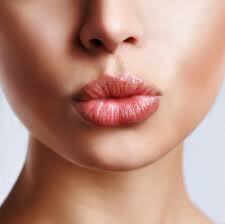 This will require you to undergo more invasive procedures to get rid of the hyperpigmented layers on your lips. 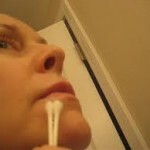 To actually prevent lip hyperpigmentation you could make it a ritual every week to exfoliate your lip area. This will definitely prevent the re-pigmentation of your lips. Make sure that you apply sunscreen on your lips after you have de-pigmented it. You should also minimize your sun exposures everyday. Also be guided in using hydroquinone solutions because in excess, this chemical compound darkens the skin. If ever your lips darken more when you used hydroquinone, you should immediate see your doctor. When you give importance to your physical appearance, it only means that you are vigilant in taking good care of yourself. It is all right to make efforts in making your skin even more beautiful but see to it that you are guided well by your trusted dermatologist so that you could really benefit from the treatments that are highly recommended. This entry was posted in Skin Problems and tagged lip hyperpigmentation, treatment options for lip hyperpigmentation on August 13, 2011 by Mian Ong.